JMG International, Inc., has launched its first blend in its Knockout Tobacconists TOC Only cigar series—the Lightweight Division Maduro. 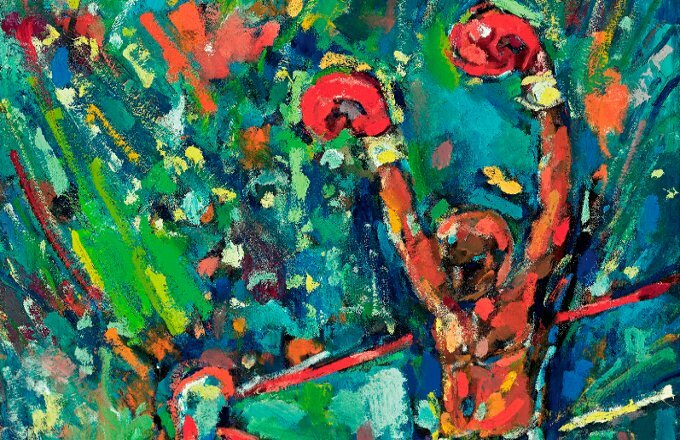 Envision stepping into the ring, giving a boxer’s handshake and lighting up a creamy Knockout cigar! 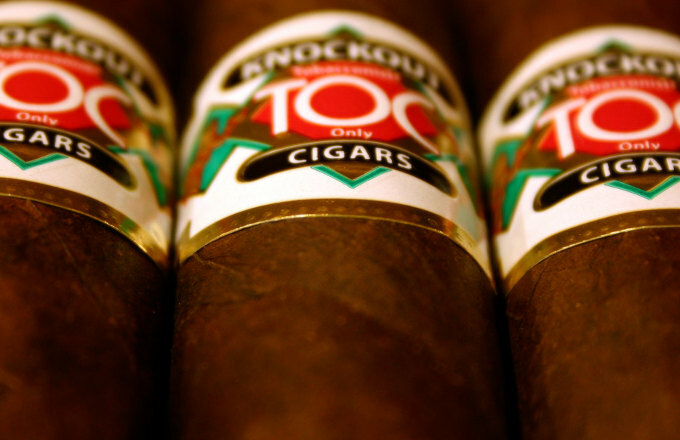 The Nicaraguan Knockout Lightweight Division Maduro cigar is a smooth and delicious blend of Nicaraguan, Honduran, and Dominican fillers, Nicaraguan binder, and a Connecticut Broadleaf Maduro wrapper. This carefully selected blend produces a rich smoke that is earthy, with hints of dark chocolate, nuts and a spicy pepper finish. This exquisite combination creates a mellow, yet flavorful cigar that will make you feel like a champion! 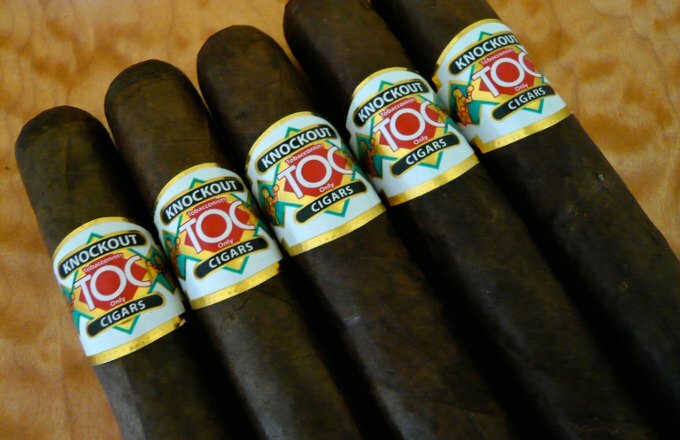 The Knockout Lightweight Division Maduro cigars come in five sizes, Round 1 through 5, and if you’re willing to take the challenge, you can participate in all five rounds! 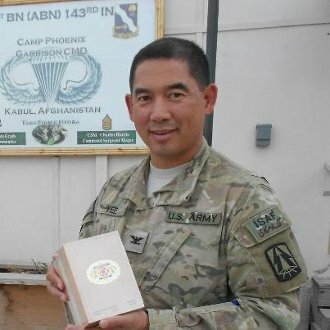 After a visit to Fremont, California to visit his son, Col. Yee returned to Afghanistan to continue to serve our country. 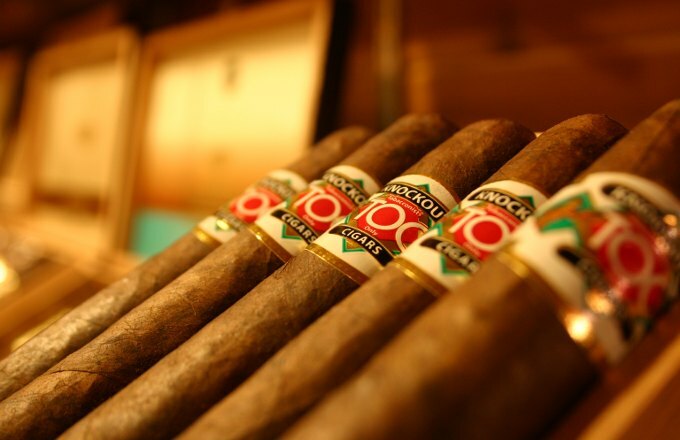 But, before he left California he visited Ohlone Cigar Shop where he discovered Knockout Cigars. Col. Yee enjoyed them so much, that Ohlone decided to send over boxes of Knockout Cigars to the troops in Afghanistan to enjoy! Share your photos and story with us and be featured on our site! I found it to be an outstanding cigar…the aroma was outstanding, and the taste was even better.